The Wilmington Grill Steamer Basket is a two piece design that is perfect for steaming everything from veggies to seafood. 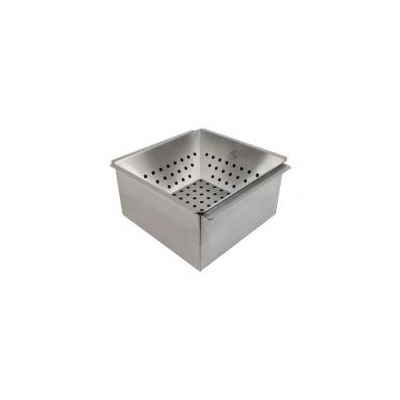 The unit is made from heavy duty 304 stainless steel and sits on top of your grill grate or side burner. The use, fill the bottom of the tray with liquid to steam with and then add veggies or seafood to the basket to be steamed.